SEOUL – Months after revealing plans to expand flights between Pyongyang and Beijing, North Korea’s Air Koryo has purchased two new aircraft from the Antonov State Company of Ukraine. Air Koryo has bought an Antonov An-148 and an Antonov An-158 from Antonov. The former holds 70 seats and the latter as many as 90, depending on seating configuration. “It makes sense for Air Koryo to buy Antonovs as they already run a fleet of An-24s so there is a prior relationship between Antonov and Air Koryo,” said David Thompson of Juche Travel Services, which is based near London. The new Antonov model was selected in part because of its suitability for Air Koryo’s operations, having a range of 2,000-2,500 kilometers, depending on the model, making them sufficient for all routes between North Korea and China, he said. They also burn considerably less fuel than the older aircraft that traditionally formed the backbone of the airlines fleet. The aircraft are due to be delivered later this year and will join the single new An-148 P-671 that has already been delivered and which already serves the Beijing-Pyongyang route alongside the two Tupolev Tu-204s. Thompson said the new models will likely be available for the summer. Air Koryo will also be conducting specially chartered long-haul flights between Kuala Lumpur, twice in August. The seven hour flight from Malaysia to North Korea will bring Malaysian tourists into the DPRK. “Air Koryo is using its Tupolev Tu-204-300 aircraft on this route, which has a range of approximately 9,300 kilometres,” said David Thompson, whose company is offering bookings on the specially commissioned flights. Malaysian and Singaporean tourist visits to North Korea have soared in recent years. This is the third year in a row that Air Koryo will be conducting this specially chartered summer flight program. In March the Kyodo News Service of Japan reported Air Koryo’s plans to increase their scheduled flights between Pyongyang and Beijing from three times per week to five by mid-April. As such, they offered Monday and Friday flights between the two cities, in addition to their pre-existing Tuesday, Thursday and Saturday flights. Some believe that the move reflects the North’s need for additional foreign currency. Air Koryo also offers flights to Shenyang in Northeast China and Vladivostok in the Russian Far East. 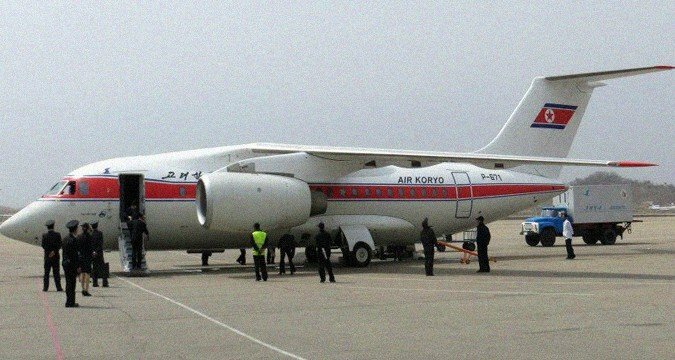 SEOUL – Months after revealing plans to expand flights between Pyongyang and Beijing, North Korea’s Air Koryo has purchased two new aircraft from the Antonov State Company of Ukraine. Air Koryo has bought an Antonov An-148 and an Antonov An-158 from Antonov. The former holds 70 seats and the latter as many as 90, depending on seating configuration.